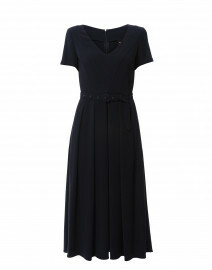 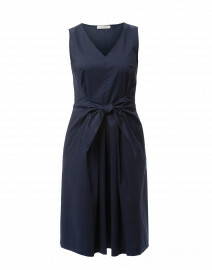 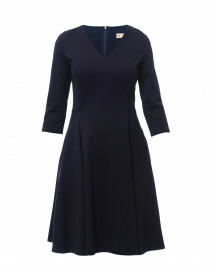 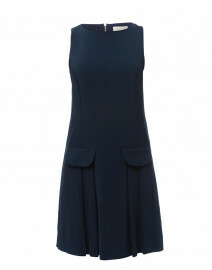 Saint James' navy Dora dress is an ideal part of an everyday wardrobe. The slender shape is anchored by a neat spread collar and short sleeves, and features a button fastening for a subtly sporty feel. 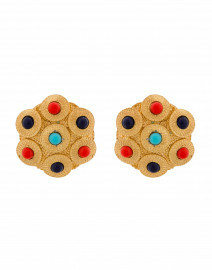 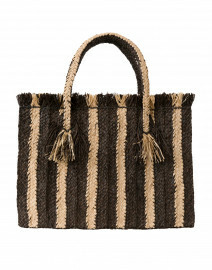 Style it with leather flats and a straw tote for afternoons in the city. 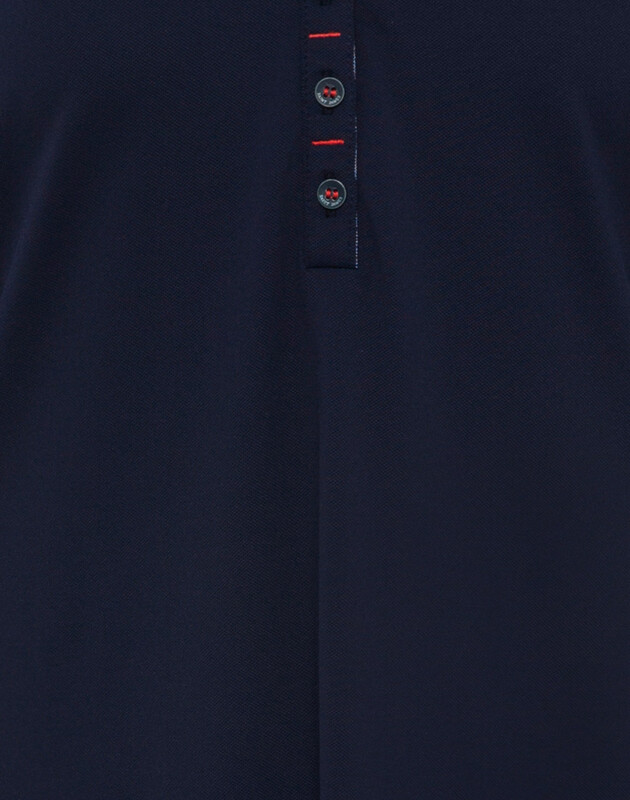 Length 38" 38" 39" 39.5" 40" 40" 40.5"
Shoulder Width 13.5" 13.5" 14" 14.5" 15" 15.5" 16.5"
Bust 37" 38" 39" 41" 42" 43" 45"
Waist 31" 34.5" 35" 36.5" 39" 40.5" 44"
Hip 36" 38" 38" 40.5" 43" 45.5" 48.5"
Sleeve Length 9" 9" 9" 9" 10" 10.25" 10.25"